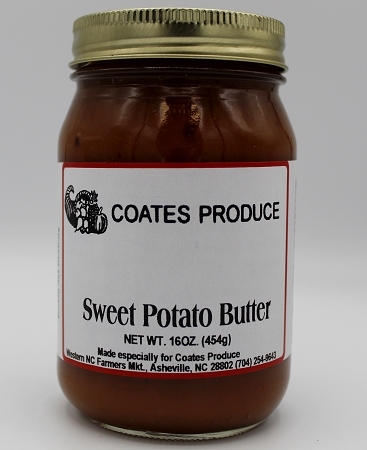 Our Sweet Potato butter will remind you of mamas sweet potato casserole. Hand stirred in small batches for you. Ingredients: Sweet potatoes, pure cane sugar, & spices, & Xanthum gum.